A Boston radio station began playing "Ruby" as an album track while "But You Know I Love You" was still on the charts. To avoid confusion, the record label decided to issue it as a single under the new moniker Kenny Rogers and the First Edition in an effort to avoid competing with themselves on the charts! (It was with some reluctance that they released this as a single ... Reprise Records wasn't sure it could be a hit. In fact, Producer Jimmy Bowen told Kenny "Because of the depressing lyrics, you will never get that song played on the radio.") He couldn't have been more wrong ... radio jumped on it and it became one of Kenny's best known hits. A year later, Rogers tipped his hat to another future-great country songwriter when he recorded the Mac Davis song "Something's Burning". 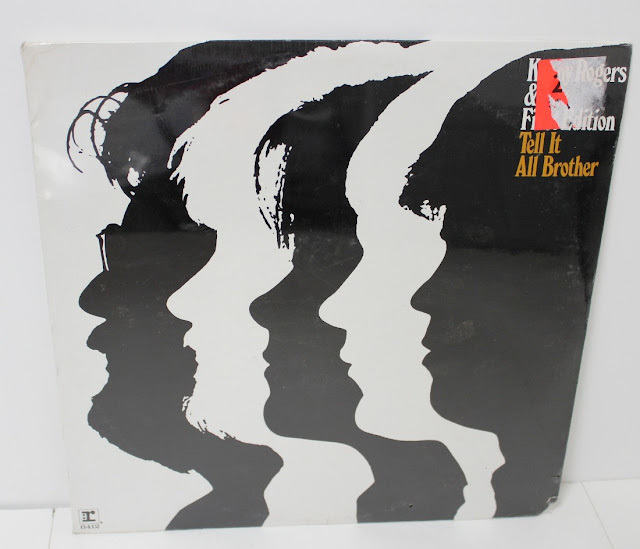 This one went to #5 in Cash Box (and was a #2 hit here in Chicago ... the biggest First Edition hit yet here in Chicago!) Davis got some additional songwriting recognition in 1969 when Elvis Presley recorded his "In The Ghetto" and took it to #1 in Cash Box Magazine. Kenny had to fight hard to get this song released as a single, too. Described as a bit "too sensual" for airplay (the song started with a heartbeat ... Kenny says that he could never get the sound "deep" enough ... so, in another little bit of studio trickery, he recorded the heartbeat backwards ... hey, why not ... it worked for the guitar intro on "Just Dropped In"!!! ... and then got exactly the sound he was looking for). Rogers (who produced the track) said he strived to make the track "as exciting as I could make it". He was proud of his "orgasmic message" and "could not wait to hear the praise from the people who would be playing this hot song for a sexually pent-up nation." Even Mac Davis had warned him that radio might not embrace it. In Kenny's own words, "Mac was right. Everyone was afraid of it. American radio stations would not play this song." But Kenny knew the record was a hit ... people just needed to hear it ... so he hit upon a great marketing idea. "I asked Ken Kragen if he could book us on "The Tom Jones Show" in London to do this song. My thinking was that England was much less afraid of sexuality than this country at the time and an English audience would at least give the song a fair hearing." Since Tom Jones' program also aired here in America on ABC, this would give the song the exposure it needed to catch on with the American public. Needless to say, "My little scheme worked. Once the song was heard in the States on "Tom Jones", there was no stopping it. Radio, so afraid of it before, now pounced on it. I think station managers were secretly looking for a way to play it all along and needed a little ammunition like a successful TV appearance. I gave them a way." Before it was all over, The First Edition did manage to hit The Top 40 a couple more times. In 1970, they scored a #17 hit with "Tell It All Brother" and, later that year, hit #21 with "Heed The Call". (Listen closely to Kenny's vocals on these two tracks, especially at the end of "Tell It All Brother" ... you'll see that's he's developing the early stages of what Michael Nesmith called "Bee Gees Disease" on his landmark video release "Elephant Parts". This is all the more interesting when you consider that Barry GIbb would later produce one of Kenny's best albums, "Eyes That See In The Dark" and the monster #1 Hit "Islands In The Stream".) If you get a chance to see Kenny's 50th Anniversary Concert on TV, you'll see that he and Lionel Richie have a great bit of fun playing up this vocal technique on their #1 Smash "Lady", live in concert. Soon another personnel change was in the works as founder Mike Settle decided to leave the band. He was replaced by Kin Vassy. This probably should have spelled the end of the band, but it didn't. In his new book "Luck Or Something Like It", Kenny talks about how B.B. King completely mesmerized the cast and crew during his performance of "The Thrill Is Gone". (It truly DOES blow you away) However, while playing along with his original background track, the director noticed that B.B. King's fingers didn't match the original guitar solo. "This meant that he couldn't edit between the rehearsal and the show performances if he needed to. As politely as he could, he asked 'Is there a chance you could play the same solo so it matches?' B.B. 's answer was like his music ... short, sweet and soulful ... 'No, sir, I can't be there but once.' He got no argument from anyone." Their last charted single came in 1972 and actually featured Kin Vassy on lead vocals. (The song, titled "School Teacher", didn't make the grade, crapping out at #91.) And then it was over. Kenny says he kept the group going through 1975 but the magic was gone. When they finally called it quits, Kenny was at a loss as to what to do with himself. He had always been part of a group. Now it was time to go solo. History has shown that Kenny made a pretty wise decision ... over the next ten years Kenny would have over 30 pop hits, including Top Ten Smashes like "Lucille", "She Believes In Me", "You Decorated My Life", "Coward Of The County", "Don't Fall In Love With A Dreamer" (with Kim Carnes, his old New Christy Minstrels buddy), "Lady" (written by Commodore Lionel Richie, one of Kenny's best friends), "I Don't Need You", "We've Got Tonight" (a duet with Sheena Easton) and "Islands In The Stream" (a #1 Record that teamed Kenny with Bee Gee Barry Gibb and Country Superstar Dolly Parton ... the result was nothing short of pure magic. In that same timeframe, Kenny scored 47 Country Hits, where he continues to chart today (at the ripe old age of 75!!!) 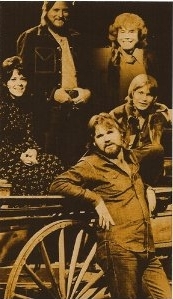 In addition to all of the Top Ten Hits shown above topping Billboard's Country Singles Chart, Kenny also reached the #1 spot with hits like "Daytime Friends", "Every Time Two Fools Collide", "What Are We Doin' In Love" and "All I Ever Need Is You" (all duets with Dottie West), "Love Or Something Like It", "The Gambler" (how'd THAT one miss the Pop Top Ten??? ), "Love Will Turn You Around", "Crazy", "Real Love" (another duet with Dolly Parton), "Morning Desire", "Tomb Of The Unknown Love", "Make No Mistake, She's Mine" (a #1 Hit with Ronnie Milsap in 1987) and "Buy Me A Rose", which topped the country chart right at the turn of the century. One of MY favorites (which didn't do too well on the pop charts ... but did reach #2 on the country chart) is "Twenty Years Ago", a hit in early 1987. This one, to me, encapsulates EVERYTHING Forgotten Hits stands for ... we're ALL ABOUT THE MEMORIES ... and some GREAT ones are invoked during these short four minutes. Check it out!